This 3ply paper towel is extra thick, quilted, has superior performance and is now available in a convenient 3pk. This product is made in Australia and is FSC certified. 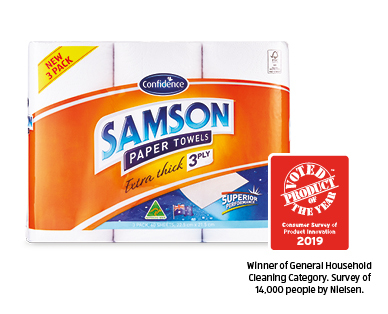 Winner - General Household Category.